Your home isn’t just somewhere to rest your head, four walls. It’s a place to be proud of. The result of all your hard work. A place that’s witnessed the growth of your family. There are so many happy memories associated with your home. Keep your home in the great condition that it deserves. Take advantage of the house cleaning service from Fast Cleaners Brent . 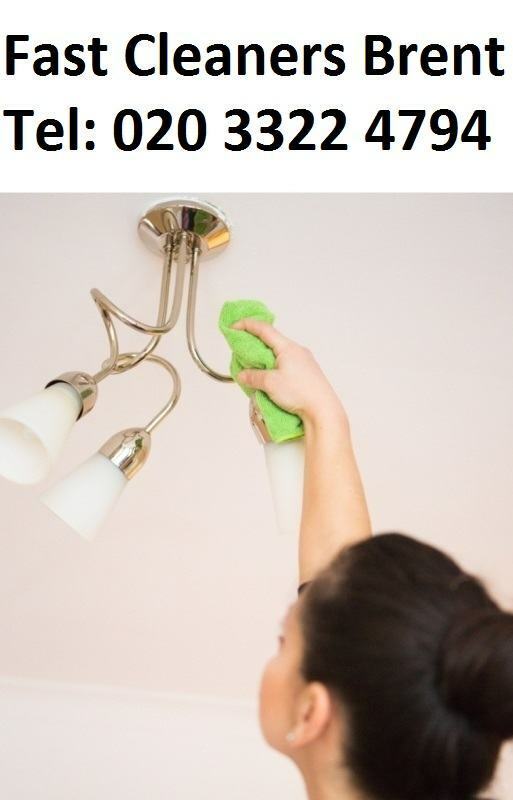 It’s the easy and inexpensive way to keep your home in perfect condition. Our house cleaners are insured, very experienced and reliable. Our cleaning prices are affordable, too. They also provide an expert ironing service. From talking to our customers, we know that ironing is one of the jobs they hate the most. We find it therapeutic, not laborious. Let our cleaning company do your ironing for you, we get a real sense of achievement from making our customers happy. Do you love cooking? If you can make a cake that would make Mary Berry envious, or whip up a spaghetti carbonara that would make Nigella jealous, then there’s only one downside. Cleaning up afterwards. The more we use our ovens, the dirtier they become. And the dirtier they become, the harder it is to clean them. It can be a vicious circle. We’ll break through that circle for you. We clean and restore even the greasiest oven. We’ll even clean your pans and cutlery. Now you really have a kitchen fit for your culinary expertise. Are you moving out of a rented property? No matter how hard you try, it never looks as good as it did when you moved in. Don’t miss out on your bond, call us. We provide a thorough end of tenancy clean that will put a smile on your landlord’s face, and a bundle of cash in your back pocket. Call us now on 020 3322 4794.